With crystalline waters, rugged cliffs and oceans and oceans to explore, it is easy to see how Stand Up Paddle Board can become an addictive hobby. 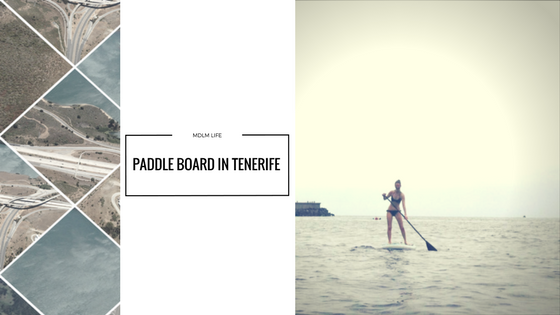 One sunny Saturday morning I finally decided to cross paddle board off my list of things to do here in Tenerife. Whilst I wasn't expecting it to be anything half as tropically glamorous as the girls in the Roxy Life videos (who make it seems oh so effortless), it certainly lived up to the wow factor! For those of you unfamiliar with paddle board, it is essentially standing up on a board and steering it using a paddle. It is like the calmer younger sister of surfing and a whole lot easier to pick up. Originating from Hawaii in the 16th century, it has since grown in popularity with people all around the world now enjoying the sport. 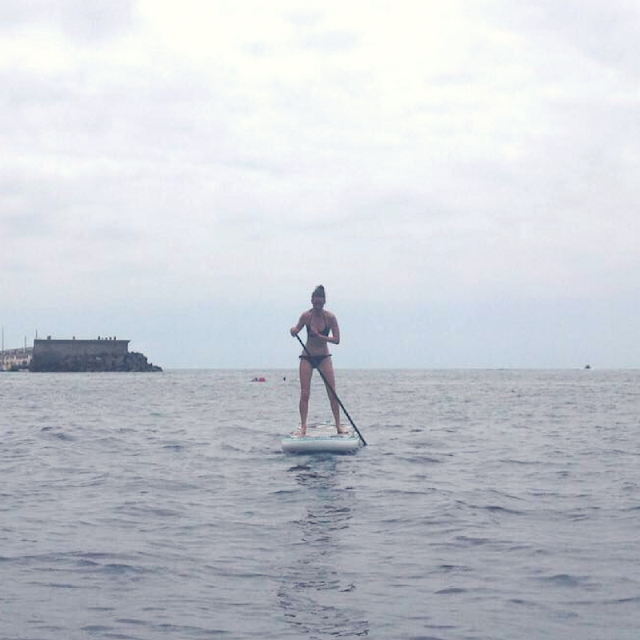 The class was held in Radazul, a small town south of Santa Cruz de Tenerife and the perfect place to learn how to paddle due to the clear, fresh calm ocean in the marina. We began the class with a short safety chat about when to stand on the board, how to balance and most importantly how to paddle. After the prep we were guided into the water by the instructor and began exploring the amazing shoreline. Admittedly I was expecting little more than a comedy of errors due to my complete lack of coordination and awful sense of direction and getting onto the board did not fall short of this. To my utter amazement, shortly after reaching the open water, I was standing on the board and steering it on a steady course with my paddle. It was not without blips however. As soon as a strong gust of wind came along, it wasn't long before I fell bum first into the water. Not to mention the panic attacks when I had to steer the board away from divers, swimmers and speedboats... Who knew it was possible to forget all laws of physics in a split second! Despite the minor mishaps, I couldn't have imagined a more relaxing and fun way to welcome the weekend. Being immersed in nature, exploring the island from a different perspective and exercising at the same time was just amazing! It is no wonder why companies offer this activity to their staff on team building days. It is fabulous! For those interested in trying this activity, I took a class with Tenerife Paddleboard. Please note this is not a sponsored post, I simply write about this because I had a wonderful time and want to share it with you all.